If you cause a car accident in which someone dies, you could be facing serious felony charges. Or, you may face only a minor moving violation. At The Ansara Law Firm, our Fort Lauderdale criminal defense lawyers understand the difference between a vehicular homicide arrest and a minor traffic citation often comes down to whether the defendant was operating the vehicle recklessly or with culpable negligence. Manslaughter by Culpable Negligence, F.S. 782.07. Under Florida law, culpable negligence is a showing of reckless disregard for human life or the safety of persons exposed to its dangerous effects or such an entire want of care as to suggest conscious indifference or grossly careless disregard for the safety and well-being of others. Manslaughter by culpable negligence is a second-degree felony, punishable by up to 15 years in prison. Vehicular Homicide, F.S. 782.071. This is the killing of a human being or the killing of an unborn child by injury to the mother caused by operating a vehicle in a reckless way likely to cause great bodily harm or death to another. Vehicular homicide used to be a third-degree felony, but is now a second-degree felony, punishable by up to 15 years in prison. In cases where at the time of the accident the driver knew or should have known there was an accident and fled the scene (i.e., hit-and-run), it’s considered a first-degree felony, punishable by up to 30 years in prison. Vehicular homicide was initially created by the legislature to close the gap between manslaughter and reckless driving, as noted in the 1979 Florida Supreme Court case of McCreary v. State. However, when the penalty for vehicular homicide was increased, this became the more common charge. DUI Manslaughter, F.S. 316.193. This is when someone who is driving under the influence of alcohol or drugs causes a crash that results in the death of a person or unborn child. It’s a second-degree felony that carries a minimum mandatory four-year prison term. If he or she flees the scene of a crash, they will still face a minimum-mandatory four-year prison term (even if authorities can’t prove the intoxication element by that point), with a maximum penalty of 30 years in prison. Reckless Driving, F.S. 316.192. This is when a person drives a vehicle in willful or wanton disregard for the safety of persons. If it results in serious bodily injury, it’s a third-degree felony, punishable by up to five years in prison. The term “serious bodily injury” means a physical condition that creates a substantial risk of death, serious personal disfigurement or a protracted loss or impairment of function of any bodily member or organ. If you are facing any of these charges, you will need an attorney. Every day, millions of people travel the roads in Florida. When a driver unintentionally kills another, remedy is often sought through the criminal justice system. However, not every fatality that occurs on the road, tragic as it may be, should result in arrest or prosecution. In a lot of cases, conduct that typically would only warrant a citation suddenly results in a serious felony charge because a death resulted. In fact, many judges, prosecutors, defense lawyers and juries struggle with whether motor vehicle homicide even constitutes a criminal act at all. Nonetheless, the cases are filed every day. A child pedestrian killed after defendant, intoxicated, boasted of the vehicle’s speed, spun the wheels and sped down a narrow street, fatally striking the child. Again, these are cases where there is a conscious indifference to the consequences of reckless actions. The death of a 5-year-old pedestrian after a driver operated his vehicle at 60 mph in a 30 mph zone in a residential neighborhood that cautioned to move slowly because there were children in the area. To successfully prosecute a vehicular homicide charge, the state does not need to prove the driver intended to harm anyone. Instead, they have to show the operation of the vehicle was in a manner likely to cause death or bodily injury. 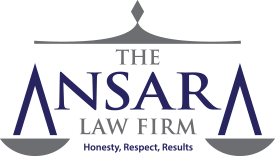 At The Ansara Law Firm, our knowledgeable attorneys understand the importance in these cases of hiring the most qualified expert witnesses. Chief among these will be an accident reconstruction expert, who often plays a critical role in your Fort Lauderdale vehicular homicide defense. Although law enforcement will conduct a separate investigation, you need someone on your side whose own research will be just as thorough – and convincing. It’s best to speak to an attorney as soon as possible – before speaking to law enforcement – so that we can preserve key evidence and prevent disclosure of certain information that could harm your case.